Everyone has a birthstone month, why not wear birthstone gem jewelry to match! Rings, pendant necklaces and earrings available in all birthstone gems. Here’s a sampling of what we have. Visit our showroom for more design choices! Born in January? Garnet is your birthstone. The lustrous red color of garnet gemstones signify eternal friendship and trust. Historical references to this gemstone date back to 3100 B.C. when the Egyptians used garnets in their jewelry designs. Born in February? 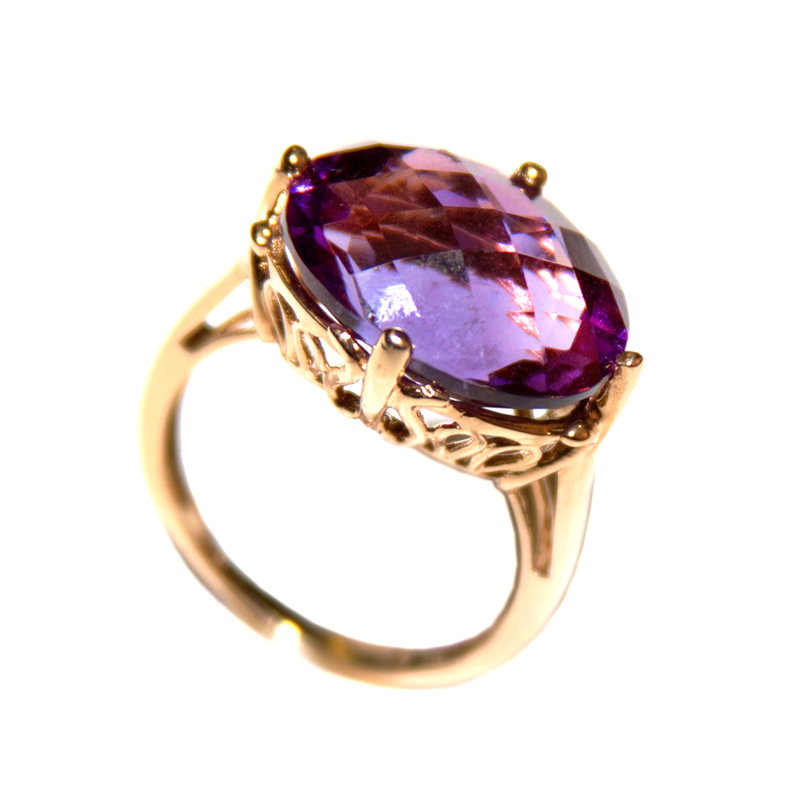 Amethyst is your birthstone. This quartz gemstone was believed by ancient Greeks and Romans to ward off the intoxicating powers of Bacchus. 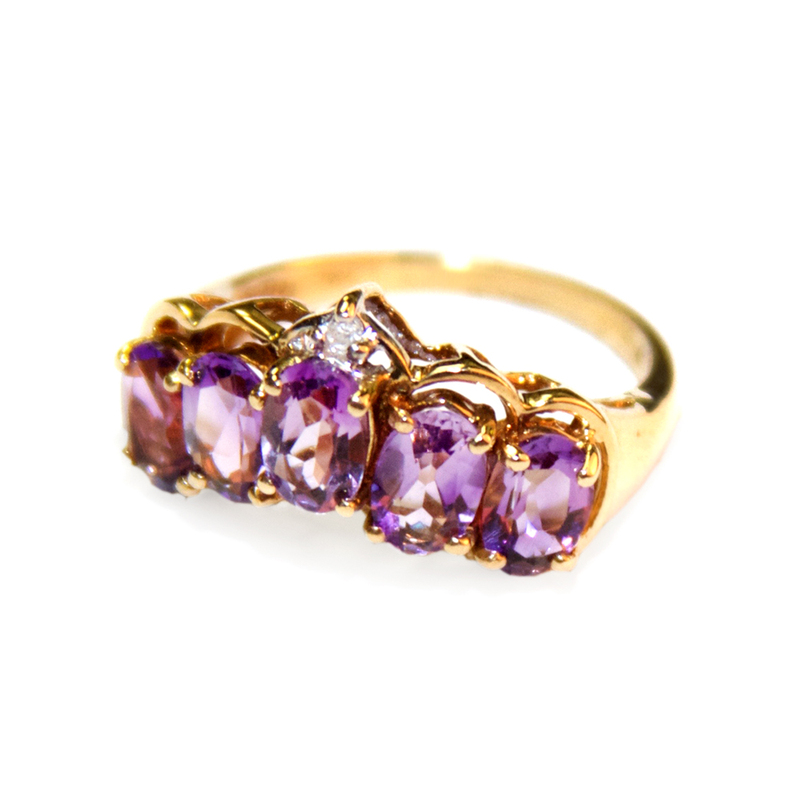 The rich purple color can vary in gemstones from light purple to a deep violet. Born in March? Aquamarine is your birthstone. This transparent blue gemstone was believed to protect sailors, and guarantee a safe voyage. The serene color is said to cool tempers, allowing the wearer to remain calm. for a loved one born in this month. And, there are so many hues ~ yellow, red, pink, blue, and green. Colors range in intensity from faint to vivid. Born in May? The Emerald is your birthstone. In brilliant green shades, is it any wonder this gemstone represents a symbol of rebirth? Emeralds are also believed to grant the owner foresight, good fortune, and youth. Born in June? Pearls are your birthstone. A favorite gemstone of the Roman Empire. England in the 1500s was known as the pearl age. The only gems produced from living sea creatures, pearls require no faceting or polishing to reveal their natural beauty. Born in July? The Ruby is your birthstone. This gemstone represents love, health and wisdom. It was thought to bestow good fortune on its owner, and has long been considered the king of gems. Born in August? Peridot is your birthstone. 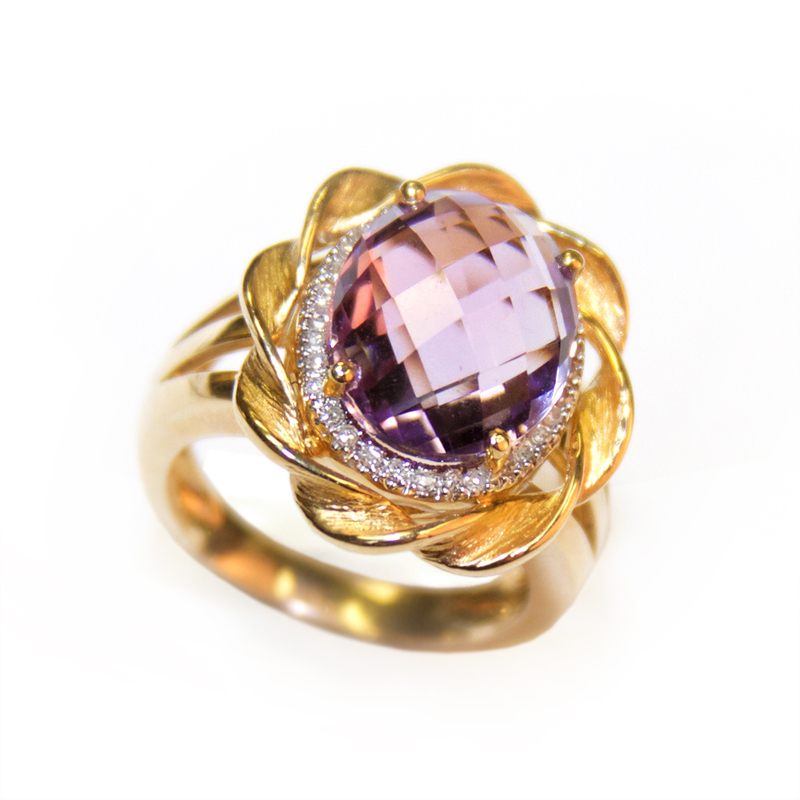 This gemstone was thought to have magical powers, including the ability to protect against nightmares. Power, influence, and good fortune are also benefits bestowed on the person who wears Peridot. Born in September? The Sapphire is your gemstone. Known for their vivid blue color, Sapphires have been popular since the Middle Ages and, according to folklore, will protect you and your loved ones from envy and harm. Born in October? You have a choice of tourmaline or opal birthstones. Tourmaline has become a favorite since it is available in a wide variety of pink-to-red colors and appeals to almost anyone’s taste. Opal gemstones are truly unique because each is informed with a one-of-a-kind color combination. Born in November? You have a choice of Topaz or Citrine birthstones. Topaz is thought to balance, calm, release tension and bring joy to those who wear this powerful stone. Citrines were thought to protect against the venom of evil words and thoughts. Born in December? The Blue Topaz is your birthstone. 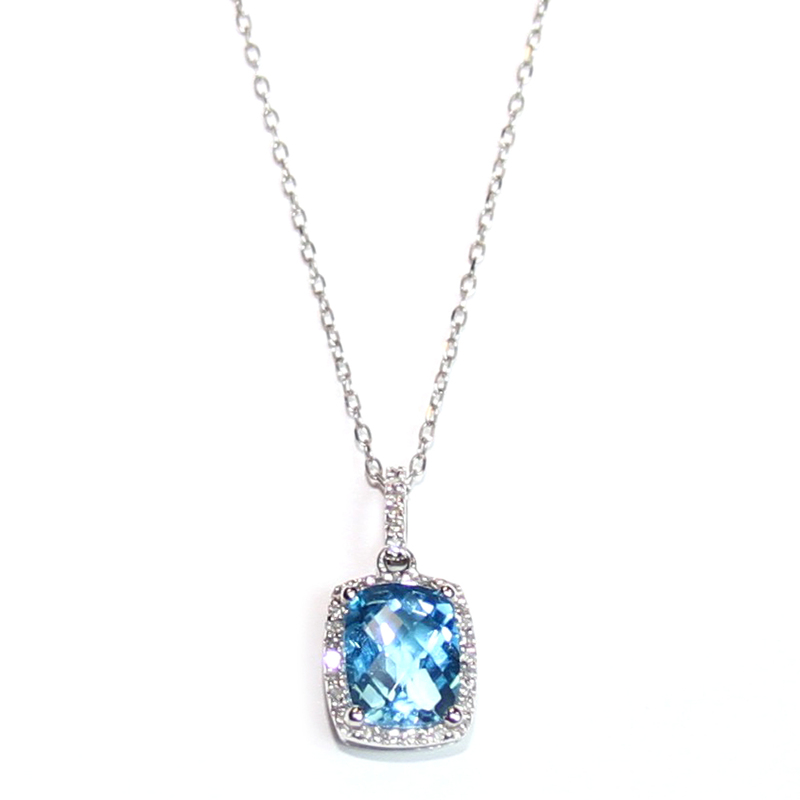 This gemstone exudes the perfect color for icy December. Thought to cure many diseases, the topaz is considered to be a symbol of fidelity and love.